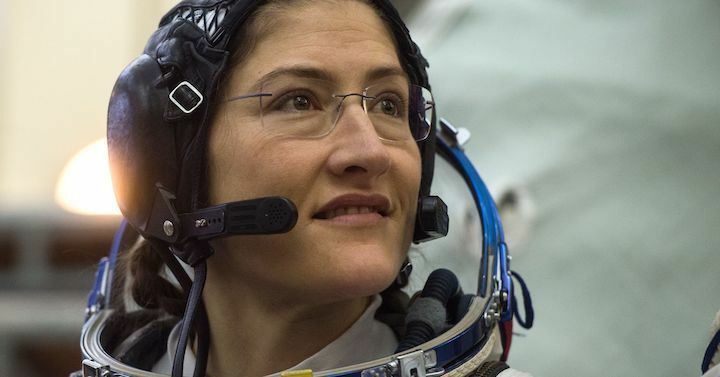 Facciol revealed her announcement March 1 via Twitter when she alerted her followers she would be "on console providing support for the FIRST ALL FEMALE SPACEWALK." According to NASA, spacewalks allow astronauts to work on the outside of their spacecraft while in space, conduct science experiments as well as test out any new equipment. Spacewalks outside of the space station typically last anywhere from five to eight hours, but it's currently unknown how long this spacewalk will be. McClain and Koch were selected to be NASA astronauts in 2013. McClain is currently part of the Expedition 58 crew that launched back in December 2018 and will also serve on Expedition 59. Koch meanwhile, will serve as a flight engineer for Expedition 59 and 60, the former of which is scheduled to launch on March 14. This is McClain's first time in space and it will also be Koch's first spaceflight. NASA astronaut Christina Hammock Koch, a member of the International Space Station (ISS) expedition 59/60, attends her final exam at the Gagarin Cosmonauts' Training Centre in Star City outside Moscow on February 20, 2019. An all-female crew will perform a spacewalk at the International Space Station for the first time in history, according to NASA. Astronauts Anne McClain and Christina Koch are set to conduct the walk on March 29, and Canadian Space Agency flight controller Kristen Facciol will provide support from the ground. In addition to two space walkers and the flight controller, Mary Lawrence will take the helm as lead flight director and Jackie Kagey will be the lead flight controller, NASA confirmed. The walk marks 35 years since Valentina Tereshkova became the first woman to walk in space in 1963. 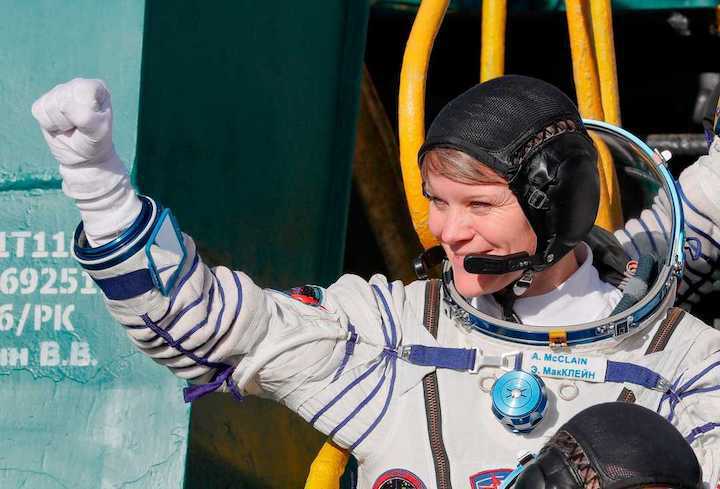 Since then, 59 different women have flown to space as of 2017, including cosmonauts, astronauts, payload specialists and foreign national, according to NASA. ISS Expedition 58/59 member, NASA astronaut Anne McClain during a spacesuit check before a launch of the ISS Expedition 58/59 crew to the International Space Station. McClain and Koch were both in NASA's 2013 astronaut class, which had the second largest number of applications NASA has ever received, at over 6,100. The class provided them training and preparation for missions to low-Earth orbit, an asteroid and Mars. Half the 2013 class was women, as was NASA's most recent class of flight directors. t will be McClain's first time in space, and Koch's first spaceflight. McClain has flown over 2,000 hours in 20 different aircraft, and is currently part of the Expedition 58/59 crew that launched to the International Space Station in December 2018. Koch will serve aboard the International Space Station as a flight engineer for the expedition, as she has background in both space science instrument development and scientific field engineering. "When you are finally in space and you're finally looking back at Earth and you realize for the first time in your life there's nothing standing between you and your dream, it's just so hard to describe the profound impact of that," McClain told NPR in February. Spacewalks are organized to conduct work outside a spacecraft, do experiments, test new equipment or repair satellites or spacecraft already in space. The March spacewalk will last about seven hours, according to NASA. And spacewalks are relatively rare events. There have been only 213 at the International Space Station since December 1998, so history has favored male dominated spacewalks. A NASA spokesperson who confirmed the historical significance of the spacewalk told Axios that it was "not orchestrated to be this way." Facciol, who will be on console from NASA's Johnson Space Center in Houston, tweeted her excitement about the historic moment: "I just found out that I'll be on console providing support for the FIRST ALL FEMALE SPACEWALK..."